The Corrections - ubiq bookshop: the best place to buy books! 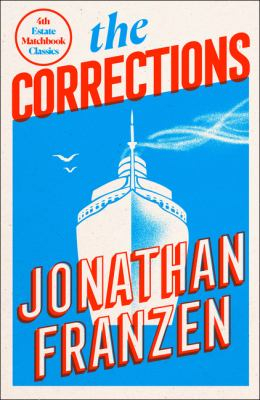 A brilliantly perceptive and moving novel, that announced Jonathan Franzen as one of our greatest living writers. One of the ten books -- novels, memoirs and one very unusual biography -- that make up our Matchbook Classics' series, a stunningly redesigned collection of some of the best loved titles on our backlist. The Lamberts -- Enid and Alfred and their three grown up children -- are a troubled family living in a troubled age. Alfred is slowly losing his mind to Parkinson's disease. As his condition worsens, and the Lamberts are forced to face the secrets and failures that haunt them, Enid sets her heart on gathering everyone together for one last family Christmas.